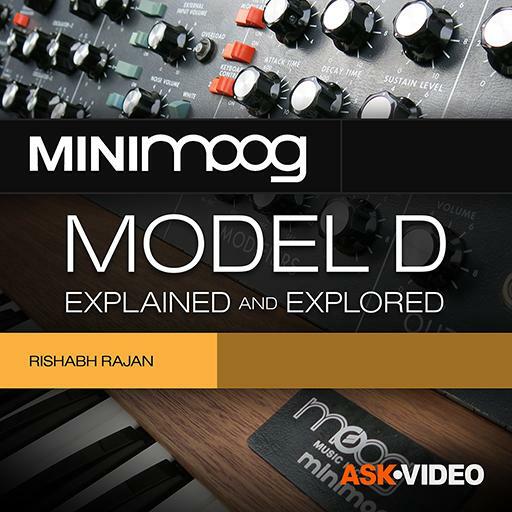 Minimoog 101 - Minimoog Model D - Explained and Explored. Can the CV ins and outs be used to make the minimoog velocity sensitive? How many noise types are available on the Minimoog? Sustain at full, eliminates which control? What is the default note priority? The set cutoff value is always the starting point for the filter envelope modulation. True or false? What switch needs to be turned ON for the Glide to work? What is the sonic difference between the two sawtooth shapes on oscillator 3? The reference A440 produces what wave shape? The tuning indicator for oscillator 2 may not always be accurate so it's best to tune by ear. True or false? What is the slope of the Minimoog filter? Which one of these noise types does the MiniMoog not implement? The new MiniMoog reissue is exactly the same as the original 1970s design. True or false? The emphasis control is also known as? The LFO modulated which of the 3 oscillators? The new MiniMoog has a dedicated LFO section: True or false? When was the original Minimoog released? When nothing is plugged into the external input jack on the Minimoog, the control for that produces feedback. True or false? A square wave has both even and odd harmonics. True or false? The system of using feet to measure octaves comes from which instrument? How many oscillators are there on the Minimoog? Can more than one modulator be assigned to modulate the filter cutoff? The Mod wheel is hardwired to control modulation depth. True or false? You have answered 0 out of 23 questions.